A hot tub is more comfortable than an airplane, and the Bali model (honouring the island in the Indian Ocean) can create the perfect atmosphere for your guests to feel complete relaxation, wellness and disconnection in its 3 metres of diameter. 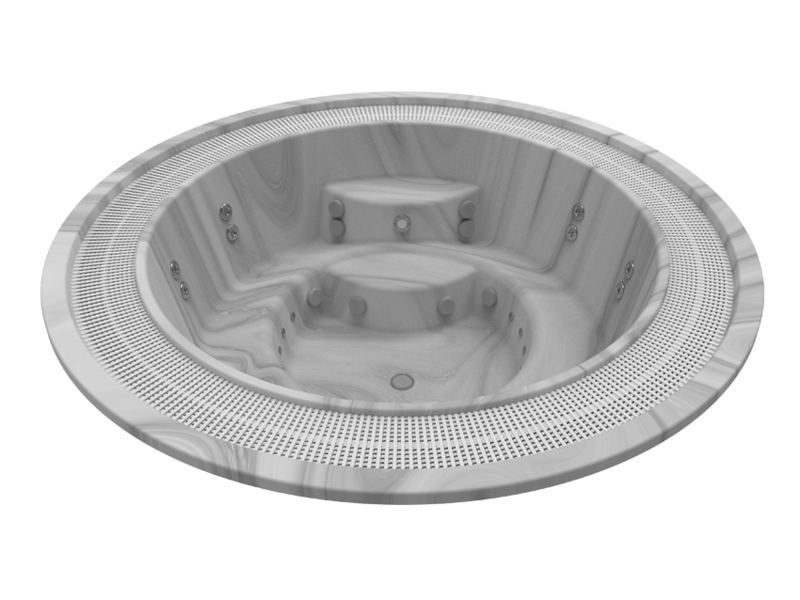 It is a built-in overflow hot tub, like all of the hot tubs in Aquavia Spa’s professional collection, and is very similar in appearance to the Oslo model, though with a slightly different volume and optional accessories, as well as its shell finish, exclusively in acrylic. If your business has the space, a good option is to buy a 9-person hot tub like this one, because it is spacious and has 3 slightly different arrangements of hydromassage jets for the back, all with hot air jets on the legs that use the Relax Impact System from Aquavia Spa. It includes an underwater white LED spotlight with the option of adding a multicoloured chromotherapy lamp. The jets and nozzles can also be upgraded to a stainless finish. 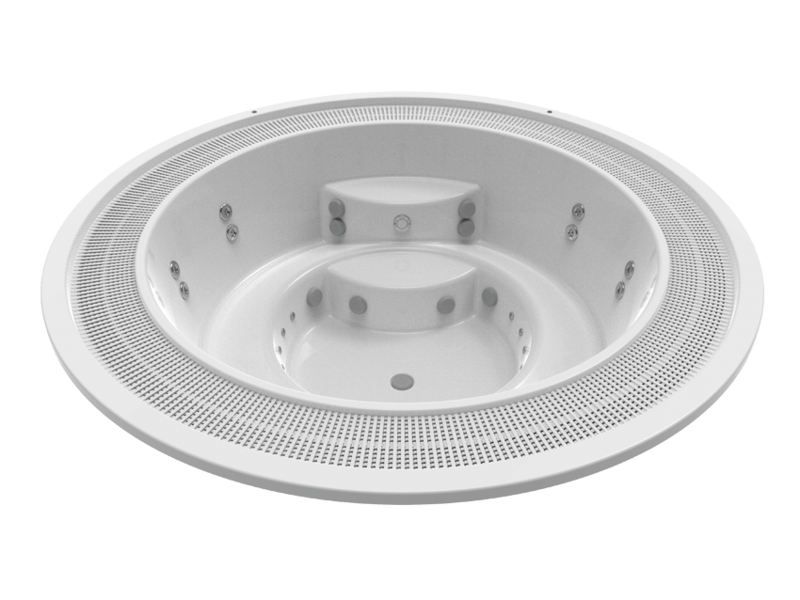 Even though the Spa Bali is a hot tub from the professional range that has professional features, many individuals choose this model for their residence, either for indoor use or for the garden, porch or covered on a large terrace. 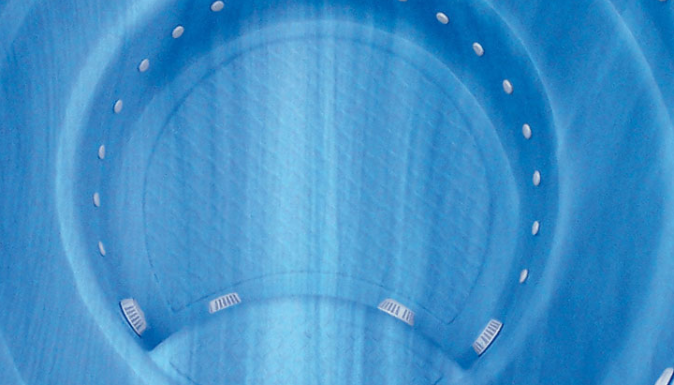 As a member of the professional or commercial range, the Bali is a hot tub for intensive use that will put in a top performance and keep the water clean, pure, and crystal clear at all times. To ensure it runs smoothly and efficiently, its technical equipment is installed externally. Developed and manufactured directly by Aquavia Spa, it has all the guaranteed quality and reliability of high-performance technology. It has a dual hydromassage pump, a powerful and efficient water heater, a hot air injection pump and a separate filtration pump with a highly effective sand filter. Additionally, Aquavia Spa recommends an ozonator to improve water purification and disinfection in situations of intensive use. In short, the Bali professional hot tub can be a great travel companion for relaxation and muscle stress relief, lipo active massage, correcting poor posture or helping relieve muscle pain that makes it difficult to rest. It can be a great social tool for public establishments of all kinds thanks to its size and circular seating arrangement. There’s no doubt: it provides added value for any business, and therefore any space.